With just 10 days to go until fans around the world find out who their teams will play in the pool stage of Rugby World Cup 2019, the presenters and participants for the eagerly awaited pool draw have been announced. The draw will take place in the historic Japanese city of Kyoto at the iconic Kyoto State Guest House, where world leaders are regularly welcomed on official visits to the Land of the Rising Sun. And the prestigious pool draw will host some of the biggest names in world rugby and Japanese sport as organisers take the next major step on the way to hosting the game’s pinnacle tournament. Among those who have been confirmed to assist with the draw itself are: World Rugby Chairman and Hall of Famer Bill Beaumont; Steve Hansen, head coach of reigning champions New Zealand; Saori Yoshida, a champion wrestler and one of Japan’s greatest Olympians; and Yoshihiro Sakata, Japan rugby legend and World Rugby Hall of Famer. In addition, the head of the Host City Council for Japan 2019, head coaches and other high-profile representatives of the 12 directly qualified teams will be in attendance to witness the draw and give their reaction afterwards. Beaumont said: “This is an exciting and important year in the tournament’s life-cycle for fans, teams and organisers. Milestones in 2017 will lay the foundation for the successful delivery of Rugby World Cup 2019 and none more so than the pool draw. It will be a major moment that will bring the tournament to life for the teams and fans around the world. “With an accessible ticketing programme set to be announced later this year, it is important that our friends at the Japan Rugby 2019 organising committee continue to ignite excitement throughout the host cities, who will be central to inspiring people to be a part of a once-in-a-lifetime event that has fan-experience at its core. The draw will be broadcast live via World Rugby’s suite of digital and social media platforms, starting at 17.00 (Japan time, 09.00 BST). Japan Rugby 2019 CEO Akira Shimazu said: “I am very pleased that the pool draw for Rugby World Cup 2019 will be held in Kyoto, a symbolic city of Japanese culture, with guests coming from all over the world. 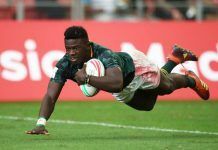 The pool draw is a major milestone as we count down to Rugby World Cup 2019 and it will stimulate public awareness and accelerate interest in and attention for the main event. Building on the record-breaking success of the England 2015 event, Japan 2019 aims to deliver a very special event that will connect and engage a nation and the world through sport and friendship. Twelve venues the length and breadth of the nation and a family of engaged and excited host cities and team camps will provide the framework for an unprecedented nationwide celebration of rugby, friendship and Japanese culture. Everyone will be welcomed with a strong Nippon. Rugby World Cup 2019 will be Japan’s biggest sporting event in more than a decade, and with 75 per cent of the population living within an hour of a match venue, there is an opportunity for everyone to experience and be a part of one of the most popular sporting events on the planet. Optimising participant and fan-base growth in Japan is central to the organising committee and Japan Rugby Football Union’s tournament objectives. More than 60,000 fans have already signed up to join the Supporters’ Club, which launched in September 2016 and provides an advance opportunity to access ticketing information. And with rugby participation growing at record pace in Asia, the Japan Rugby Football Union, Asia Rugby and World Rugby will launch its IMPACT Beyond programme in May, outlining a joint pledge to attract, inspire and retain one million new players across the world’s most populous region. Rugby World Cup 2019 in Japan will comprise 20 teams allocated into four pools of five teams. The 12 directly qualified teams from Rugby World Cup 2015 will be seeded based on the World Rugby Rankings at 12.00 on Wednesday, 10 December, 2017 and positioned into three bands of four teams. The timing of the draw two years out from Rugby World Cup 2019 enables Japan Rugby 2019 to develop the match schedule in association with all stakeholders and provide teams with an appropriate lead-in time to maximise planning and preparation. Previous articleUrvashi Rautela encourages children to make a world record ! !